This tutorial explains what message type is and how to generate them. It also describes the configuring and how to    use. 1. What is message type? Free define message type is a type and structure definition which is store in Repository. The message type can be resided in a WSDL, in SAP IDoc, SAP Bapi, etc… It can be stored in a file in csv, xml or other format. However, this tutorial will mainly explain the detail about free define message type. 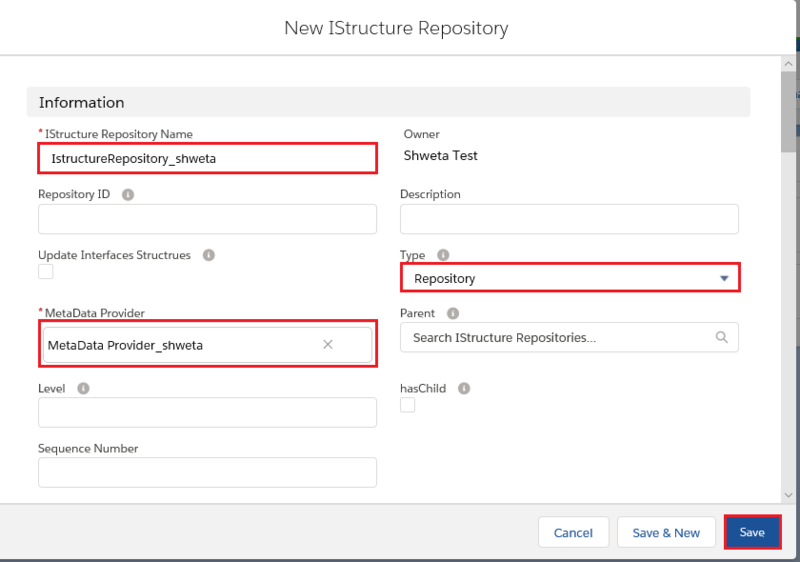 After select on MetaData Provider you will land on it detail, what you have to do next is to create IStructure Repository. 1. You can create it in MetaData Provider detail page by clicking on New IStructure Repository button. 2. You can create it in IStructure Repository Tab which is locate in Integration Admin Tab. Click on Related tab on metadata provider page. You can see the created IStructure Repository. To create IStructure is the next step after you had created IStructure Repository. Just enter IStructue Repository and scroll down to IStructue section, which locate at the bottom of detail page. 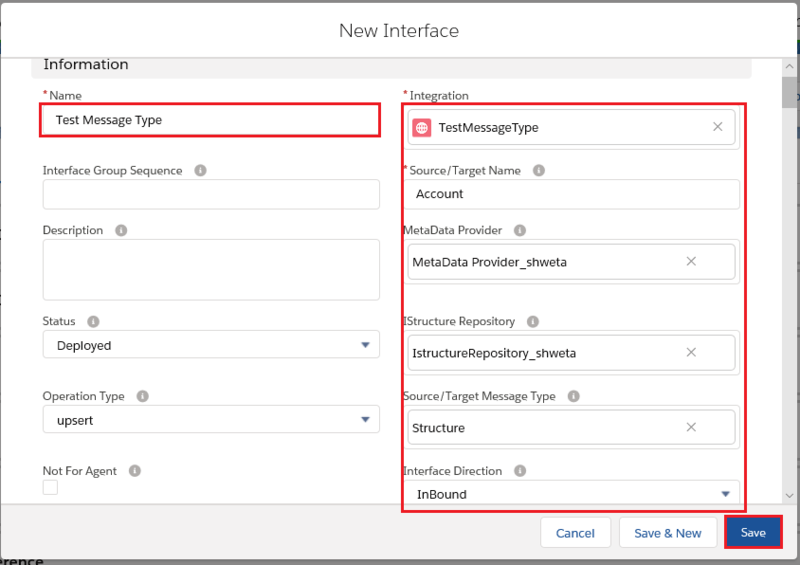 This section allow you to create the fields you want to use in message types field entries. Click the New IStructure button and name it. This step is to portray how to create Message Type. Just click on Message Type button, which is located among other buttons in detail page. Enter Message Type, which you had created. Then scroll down to the bottom of the page and you will see Msg Type Field Entries. 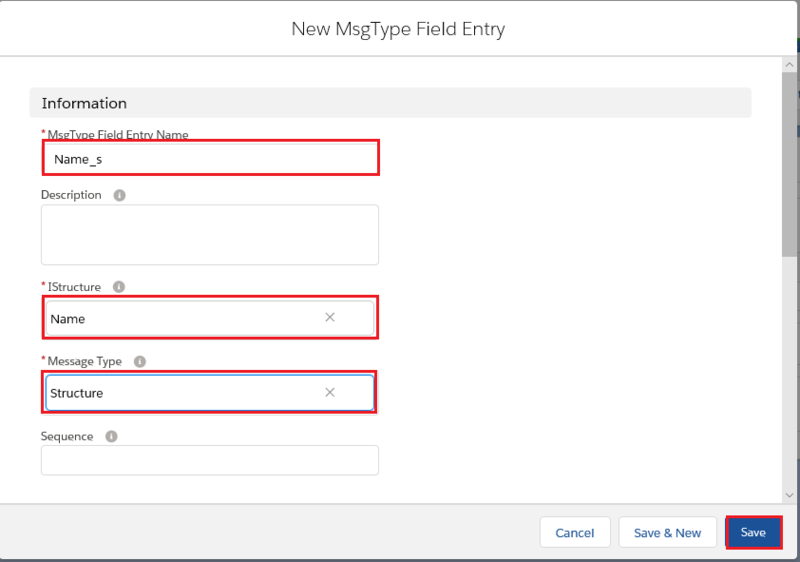 You can create either a New MsgType Field Entry or Select Field from the Repository. The following step is showing how to select Field from Repository. Create Message Type field entry. For this part, it is up to you to decide when you want to create an interface. However, the example will be showing the creation of interface which is happened to be the final step. Just select on the New Interface button which located in the Message Type Detail page. After you done saving the interface you will land on Interface detail page. You can scroll down to Mapping section to check the structure of message type which you had created.